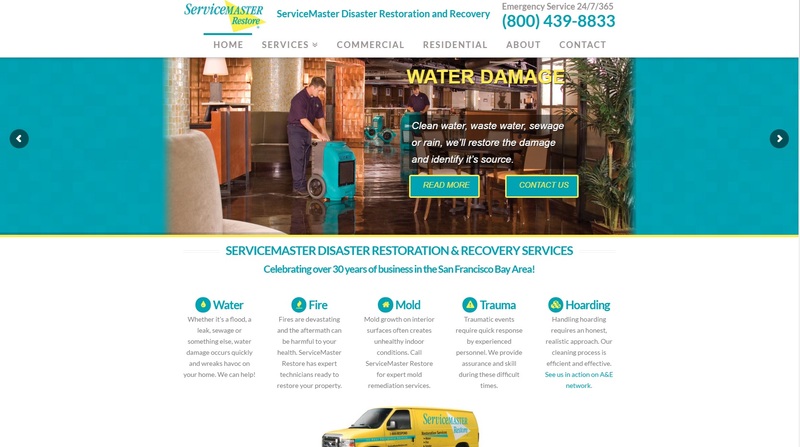 Located in the Greater Peninsula region of the Bay Area, ServiceMaster Disaster Restoration and Recovery are ready to respond at a moments notice. From small water intrusions to large water damage, mold, fire damage, and trauma losses, ServiceMaster’s state-of-the art MSM technology and experienced technicians deliver a flawless, fully inventoried restoration process; with no liability exposure. Having industry developed resources; their team can handle both small capacity as well as large capacity losses. The client has been with us for over 5 years. We redesigned their IL website then the client moved to California and hired us to design a new website for their California ServiceMaster franchise. Their local SEO results have been great.